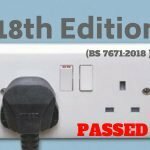 Many people are not aware that the fuse box/fuse board installed in their home or business premise does not meet current regulations. New fuse boxes which are now called Consumer Units should be an essential part of your electrical installation. Unlike older fuse boards, the latest Consumer Units contain RCDs (residual current devices). These will disconnect the electricity supply in a fraction of a second, if a fault or the smallest change in current is detected. 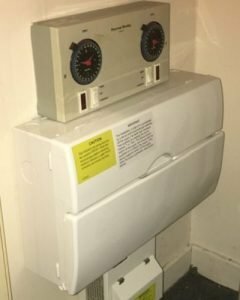 Consumer Units provide much greater protection against electrocution and electrical fires in your property. 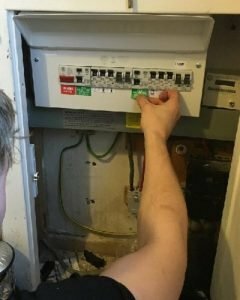 When should you think of replacing your current fuse box? 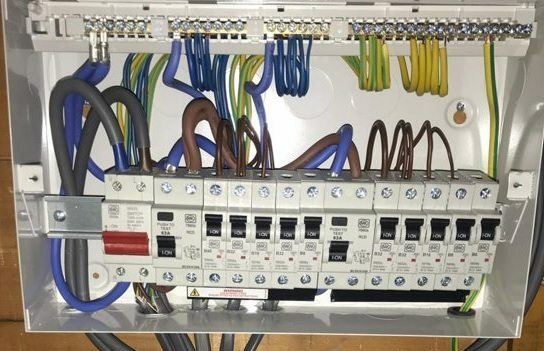 The latest Consumer Units have split load fuse boards with 2 RCDs. They are designed this way so that if a fault develops in one of the circuits in your property, you will still have lighting and power. Each circuit is also protected with it's own MCB (mini circuit breaker). It is also worth noting that all new Consumer Units must now be metal. Plastic ones no longer meet the latest regulations. 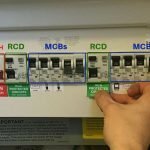 The cost of replacing a Consumer Unit can vary but it is usually between £300 and £500. 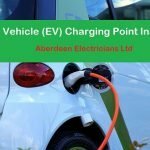 If you need to replace your fuse box at home or in your business premises in Aberdeen, please get in touch with us now, to arrange a free quote.